What should you keep in your glove box? Home › News and Reviews › What should you keep in your glove box? 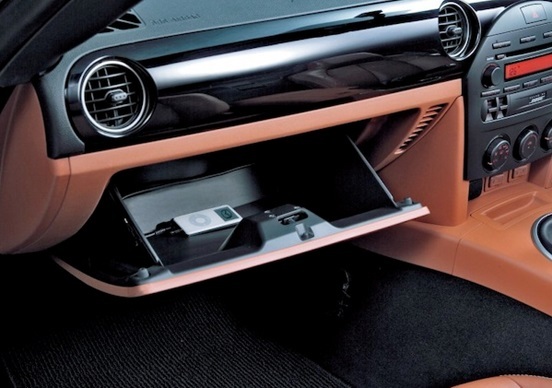 Why is it even called a glove box? In the early days of automobiles, the use of the glove box was considered essential. Not only was it seen as a style statement- a place for the wealthy driver to store his white, gauntlet gloves, but also for utility reasons to keep the hands warm. Without heaters, drivers and passengers were forced to don heavy gloves to protect their hands on chilly days. For those who can remember glove boxes from the 40’s through to the 70’s, you’ll recall them being secured with heavy metal doors and locks. Later on came the handy cup holders located on the inner part of the door and nowadays, some modern car designs such as Jeeps, feature glove boxes that don’t even have a door. Motorists should have a flashlight in their vehicle, as this will come in handy in the event of an emergency or a breakdown. On poorly lit roads it will help make you visible to other drivers when waiting for roadside assistance. Remember that no journey is one hundred percent predictable so it’s important that you have your Car Registration and Proof of Insurance papers with you at all times. However, do refrain from having the vehicle title included with these, just in case your car is stolen. It’s quite simple, if you breakdown you’ll want to be prepared for all weathers. A hat, sunscreen and a compact umbrella will help you cope in a number of eventualities. There have been a lot of recent claims around the dangers of drinking from plastic bottles left in cars, however, water is essential to breakdown safety. In addition to the importance of keeping you re-hydrated, it will also come in handy for various different maintenance tasks. You’ve just broken down, you’re about to call for help and suddenly your phone lets out that final SOS and switches off. Don’t let an emergency turn into a catastrophe- carry a phone charger in your glove box. Basic tools will go far in car maintenance. A tire gauge is also a great way to ensure that you’re getting the best in terms of fuel economy and reduces the risk of you getting a flat. There are far too many uses to leave a notebook and pencil off the list and you never know when your next bright idea might come to you.